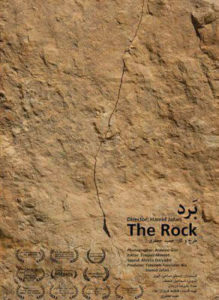 The Rock (Bard) a short documentary film from Iran directed by Hamid Jafari is up for a chance for an Oscar nomination. The Rock happens in the South of Iran, where a woman goes to the mountain every day with her sledgehammer and crowbar, breaks rocks, and sells them to support her family. The Rock is a beautifully made film about survival and the powerful image it portrays from the main character of the film will remain with you for a very long time. Being an independent film and with the effects of US sanctions against Iran, The Rock did not have any promotional budget, but let’s hope that it’s high quality helps the film to be among the short list for the Documentary Short Subject Oscar that will be announced on December 17th. 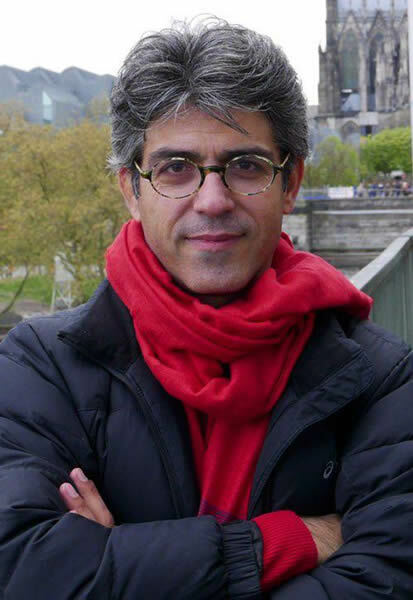 Bijan Tehrani: Please tell us how did you encounter the subject of The Rock and what motivated you to make the film? Hamid Jafari: One day while having lunch alone I decided to watch some TV and I saw a short report about a woman who sells rocks to get by. At that time I was making another film but I wrote this idea down in my notebook. Four years later I went back to it. The subject of the report was that a poor, miserable woman could overcome her circumstances and with a superhuman power lift herself out of poverty. Her story motivated me to find her and make a film. BT: Tell us about the production process and how was the reaction of the family and villagers during the filming? HJ: I knew the region well. I was born just a two hour drive from the village, and I spoke their dialect fluently. So it was no problem for me to create a relationship with and gain the trust of the villagers. Also, they willingly allowed me to film them. The only problem was finding a professional crew to accompany me with basic living conditions and for the moment, no salary. I hadn’t found any backers due to the rapid change in climate; a cold winter immediately turning very hot which effects the crew and limits our working hours. Fortunately I was able to put a crew together and we began filming with a friendly ambiance and optimal early spring weather. Eventually, after the film won prizes, I was able to pay the crew. BT: How did you determine the structure and visual style of the film? Was it in the script writing stage, during production or editing the film? HJ: I sometimes begin my films with a single image. In this case I was preoccupied with the image of a woman walking toward mountains carrying a small pick-axe and a crow bar. On the other hand, I knew this film wouldn’t be based on interviews and conversations, but rather on scenes from this woman’s life. Accordingly, with what I knew of this woman’s life and work, I wrote a very specific film script. Of course, as with most documentary films, things happen during filming that are much more interesting than what is written, so you have to be able to go off script a little. Therefor this film is a blend of written scenes and improvised filming of unexpected scenes. Yet within this structure one point was very important to us to disregard and delete whatever we thought was not important. This point of view was most evident during the editing process. BT: How has been the reaction of the audiences and critics to The Rock? HJ: The audience and the critics do not always have a unified opinion, but in this case the audiences and critics, both in Iran and abroad were full of praise for our film, especially to its poetic aspects. There was some criticism which suggested I should have interviewed the woman about her hopes and hardships, exactly what I had so adamantly steered clear of. BT: Please tell us about your success in festival circuits. HJ: The Rock won Best Short Documentary at its debut at the Vérité Festival in Tehran and it also received an Honorable Mention for Directing. It also won Most Creative Documentary at its international debut at Vision du Reel Festival, and it won Best Short Documentary at its USA debut at the New Orleans’s Film Festival. It also won Best Short Documentary at the Irvine International Film Festival. Among its other prizes are two from France’s Poirtier Film Festival; one from the prisoners and the other from the students, as well as a Special Judge’s Award from Russia’s Baikal International Film Festival. The Rock has also been screened at many important festivals such as; Hot Docs, IDFA, Hot Springs, Sebastopol and Vermont to name a few. BT: How do you see the chances of The Rock to be nominated or even win the Best Short Documentary Oscar? HJ: In order to respond to this question we must first see how it compares to the other nominees. You know how important and determining advertising is at this stage. We have done all we could to raise the capital to advertise our film and make it known to the judges and international audiences, unfortunately we have up to now not been able to do much. Especially after the second round of US sanctions the US Dollar has increased 500% making any kind of fund raising almost impossible. Even though our government does not support independent filmmaking, we entered into a dialog with them but we were unsuccessful. Even though we are involved in an unjust competition, I believe that The Rock can essentially stand on its own and be a candidate for an Oscar, just as it beat out a 2018 Oscar winner at the Irvine Festival. With this is mind, I believe The Rock stands a chance!